Don’t stress yourself over gift giving – the choice is simple… Everyone loves a gift card! 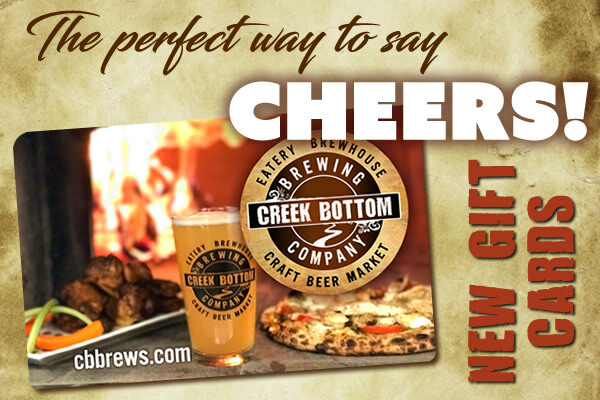 Especially from Creek Bottom Brewing because they can be used on food, drinks, t-shirts, trucker’s hats, craft bottled and canned beer, growlers – EVERYTHING that we offer. C’mon, make someones day.